You are going to Watch Fairy Tail 2014 Episode 67 English subbed online free episodes with HQ / high quality. 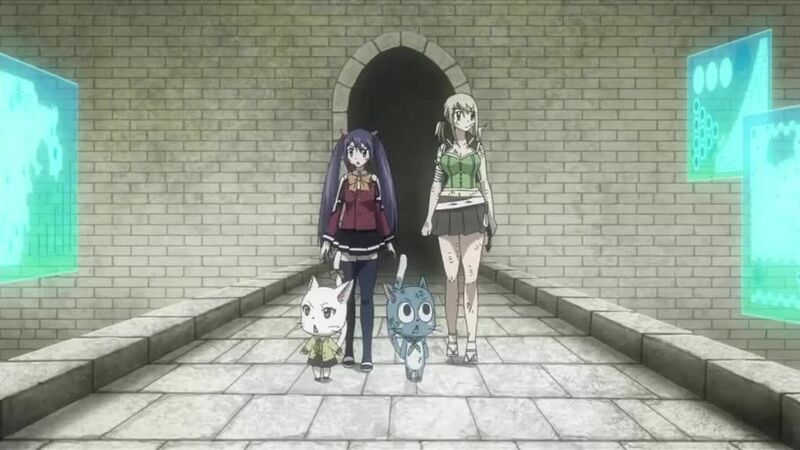 Stream Anime Fairy Tail 2014 Episode 242 Online English sub Tartaros Chapter – To Let Live or Die. Zeref cryptically tells Natsu to choose whether to kill or spare E.N.D. before disappearing. As the rest of Fairy Tail infiltrates Tartaros’ base, Mirajane reunites with Lisanna and is confronted by a furious Seilah. Lucy, Wendy, Happy, and Carla reach Tartaros’ control room to discover that Face has been set to detonate in 41 minutes. Chased by the Demon Gates Franmalth and Keyes, Lucy and Gray help hold the demons off to allow Wendy and Carla to find and deactivate Face. Lucy reunites with Natsu to battle Franmalth, who has the ability to absorb Lucy’s spirits and mimic their powers. When Natsu overcomes his spirit forms, Franmalth assumes a powerful new form that shocks the wizards.